GASMAN is well known for its extensive range of Gas products and accessories. We also specialise in Gas Installations, Mining and Industrial products, Jetmaster and Earthfire. We do refilling of all gas Bottles. temperature can be regulated in one room. 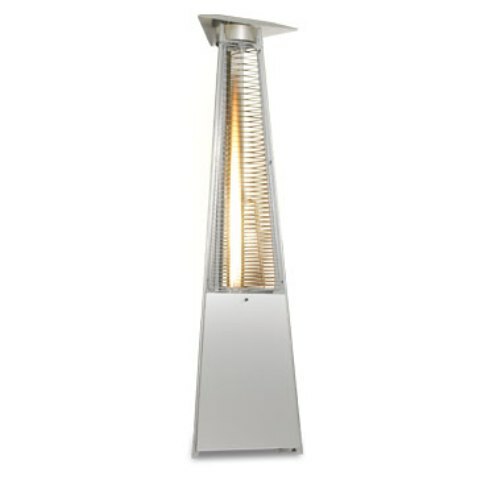 Patio heaters - If you want to eat outside during the cooler months, then a patio heater is for you: very easy to use, safe, durable and extremely stylish.. At full power, a typical terrace heater will heat an area of approx. 8 to 15 sq m.
Why not consider our Glowarmpatio and radiant heaters. The attractive design of the Glowarm blends with all outside decor. The unit is fuelled by LPG bottled gas - 9kg or 14kg cylinders are completely hidden within the base. Radiant heat from the Glowarm directs infrared rays straight onto the area requiring heat. Radiant heating is ideal for use when you do not want to heat large volumes of air but do want to keep your customers warm in draughty locations. Portable warm air blowers are perfect for drying out or raising the temperature of a venue before a big event. Fixed warm air heaters are great for modern, well sealed buildings and create a pleasant working or shopping environment. Balanced flue heaters are installed on external walls and are popular for schools, offices and public halls. Warehouse heaters are ideal to keep your employees warm during the cold winter months. Gas stoves, ovens and hobs are favourite cookers with many of our clients. Free-standing or installed, Bosch products are manufactured with superb craftsmanship and state of the art materials. Whatever your cooking needs, our Bosch products are extremely efficient and superb on energy saving. Many models are electrically compatible too. Enquire today about our vast range of Bosch stoves, ovens and hobs. Phone or e-mail us for expert advise on our models and their installation. Our ZERO range of refrigerators and freezers have been sensibly designed to fit into areas like caravan doors, kombi's, boats and trailers and are absolutely ideal for caravanners, fisherman and all outdoor enthusiasts. All ZERO products boast: LP Gas, electric and 12 volt operation, Push button lighting device, silent operation and gas flame indicator. We also stock and supply ENGEL portable fridge freezers. Known for many years for their durability, Engel portable fridge freezers are ideal for travelers and campers or other people on the move. CADAC products have been synonymous with the South African outdoor and recreational scene for many years. Our CADAC outdoor cooking, lighting and heating accessories will make any stay in the outdoors a truly comfortable and enjoyable experience. Easigas is able to meet all your heating and hot water needs. With LPG supplied from a single cylinder or bank of cylinders, the solution is easy. With LPG fuelling a water system, you will have hot water whenever you need it. Geysers powered by LPG will provide you with all the hygiene and efficiency you could possibly need and much more. Check out our Gas Installations page for more on our Junkers Instantaneous water heaters.